Traders-Trust (Full legal name – ‘TTCM Traders Trust Capital Markets Limited’) is a Cyprus Investment Firm incorporated under the laws of Cyprus, which has its principal place of business at 56 Theodorou Potamianou Aphrodite Court, 4th Floor, 4155, Limassol Cyprus. It is registered with the Registrar of Companies in Nicosia under number HE 250591 and regulated as a Cyprus Investment Firm (‘CIF’) by the Cyprus Securities and Exchange Commission (‘CySEC’) under license number 107/09. The broker operates in accordance with the Markets in Financial Instruments Directive (‘MiFID’) of the European Union. Traders-Trust core beliefs are that long term business relationships can only be built through honesty and fairness. 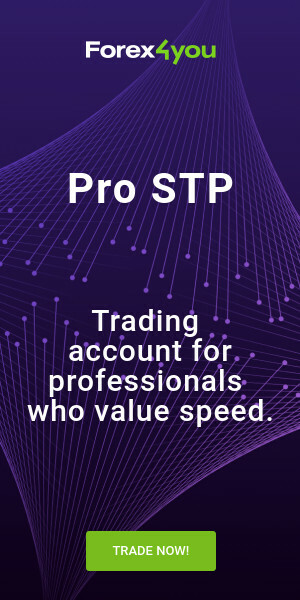 While many brokers have long chosen the more lucrative approach of being market makers, hence creating a conflict of interest between them and their client, this broker’s business model is based on offering a Straight Through Processing (STP) execution to all our clients, where all orders are transmitted directly to the market with no dealing desk intervention. Furthermore, their main priority resides in offering the best execution and transparent pricing at all times, while giving the clients access to the market without any restrictions. Traders will thus enjoy scalping, hedging and EA’s at full capacity, knowing that their trade will stay anonymous and executed with no re-quotes. Strong from its reputation of integrity, Traders-Trust is proud to align its own interest with the interest of its client’s. Indeed, unlike Dealing Desk brokers, Traders-Trust does not take the other side of its client trades, thereby removing the possibility of any trade manipulation. When you trade with Traders-Trust, all conditions are completely transparent. There are no hidden fees or extra charges. All information regarding: commissions, spreads, costs and fees, are provided on the website. By choosing multiple price providers the broker is always able to offer the clients the best quoted prices available in the market. Traders-Trust offers a negative balance protection guarantee for all clients and will credit the account to a zero balance if it goes into negative as a result of trading activity. They are committed to a strict policy ensuring that clients may never lose more than their total deposits. With the spreads they can offer a highly competitive service to traders. The MT4 platform offers a highly customisable and user-friendly interface to assist te traders in improving their trading performance. Traders-Trust makes every effort to offer a high speed of execution. Orders received from the clients are automatically executed without the need to pass them to a third party and without any dealing desk intervention, consequently saving the traders time and money. The support team is available 24 hours a day, five days a week. Just choose from a range of methods of contacting them. By using advanced encryption technology, your password is hashed to guarantee that it is unique and private to you. They never share your information with third parties. Using the iPhone or iPad App, you can react instantly to market movements to ensure that you stay in full control of your positions, whether in the office, at home or on the move. The broker is audited by PWC & Deloitte and registered with all following European Regulatory Authorities: FCA, BaFin, Banque de France, CNMV, CONSOB, FI, AFM, The Danish FSA, MNB and KNF. The broker also provides MAM-Account which stands for Multi Account Manager platform designed for asset managers and professional traders looking to manage and trade several trading accounts simultaneously, in a simple and secure way. The Broker also provides PAMM, MT4 Signals, Social Copy Trader, Strategy Builder and ZuluTrade services.